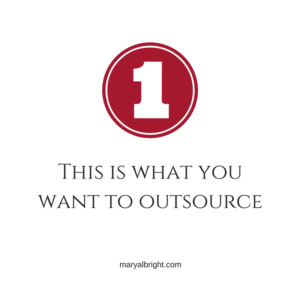 Outsourcing can be a taboo word. It usually makes you think about corporate downsizing and that’s rarely a pretty picture. Outsourcing is a smart tool for small business especially when it comes to training and development of your people and your company culture. You’re growing your business, bringing on new people and meeting customer demand. You grow and then before you know it, you’ve got people to develop. Most small businesses don’t have a dedicated training department and end up winging it or hoping an annual company party gets the team to gel. Mix it up. Bringing in an external resource for training and development is a smart investment. And let’s face it; sometimes we have the blinders on about our businesses. Outside people mean objectivity. 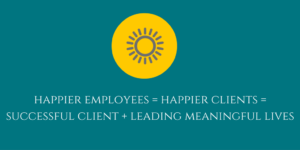 They not only bring what you are looking for to the table, but also offer keen insights on how to help you and your team live their core values and be happier at work. Why wouldn’t we want this everywhere? So work in your genius zone and recognize it doesn’t cover everything. Bring in others that work in the training and development genius zone.